High quality, lightweight, fusible fleece from OESD. Add loft to embroidered projects such as totes, quilt blocks and more. 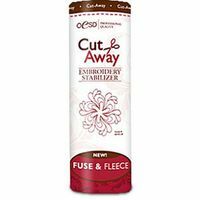 Use this lightweight stabilizer on woven fabrics. Each roll contains five yards of 10" wide Fuse & Fleece stabilizer.